The Providence Journal is the oldest continuously published daily newspaper in the United States and winner of four Pulitzer Prizes. We serve Rhode Island and Southeastern Massachusetts by providing news and information on topics such as local news, national news, sports, lifestyle, entertainment and opinion. Powered by Olive Software, our archive contains eEdition replicas of The Providence Journal dating back to January 17, 2011. 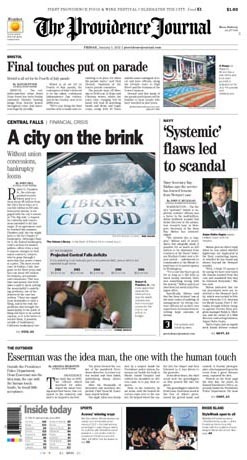 To access older content, please visit: http://www.providencejournal.com/archive.